Developers in Dubai are getting back to basics — set the price right and the sales will follow. The developer of the Dh1.3 billion “Se7en City” high-rise cluster in JLT (Jumeirah Lake Towers) is doing just that. 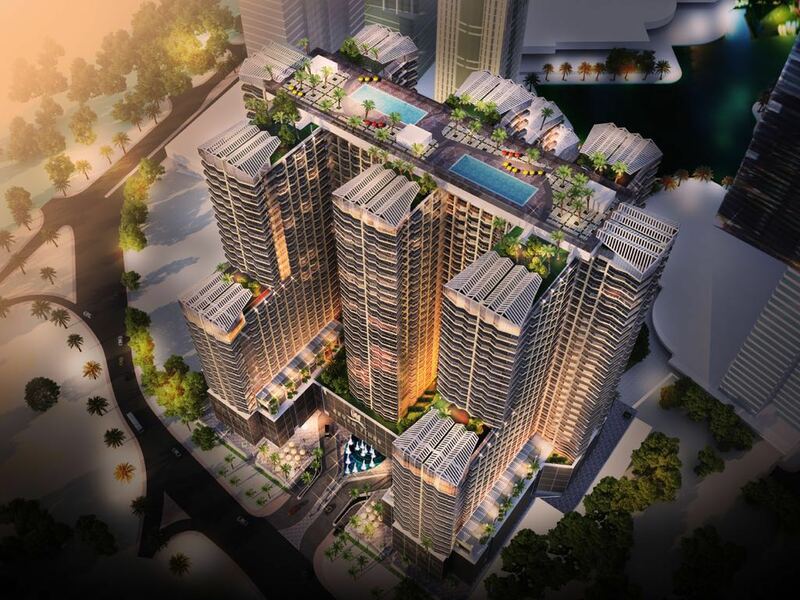 Starting at Dh925 a square foot, it has so far sold more than 800 units since opening sales in late May. “I think reaching the 1,000 unit level is a matter of days and that puts us closer to reaching the halfway mark in the 2,600 unit project,” said Abdullah Bin Sulayem, CEO at Seven Tides. “And all this when everyone was saying that trying to sell off-plan now has got riskier. “We knew we’re taking a calculated risk launching sales in May and during Ramadan. I had already delayed the sales launch a few times, but when Dubai Government announced the 10-year residency visa initiative, I knew now was the correct time. That round involved more than 300 units and got sold in a week, fetching the developer buyer commitments of more than Dh600 million. “Going lower than the average price at JLT was a strategic decision, which at the time was above Dh1,000 a square foot and even up to Dh1,400 at certain locations,” said Bin Sulayem. “That’s why starting from Dh925 was so vital in generating demand. We have gradually raised prices in the second round, but been able to sustain demand. The right price and right product — they sell always.” (Studios were priced at Dh354,000 and three-beds from Dh1.4 million. Start of the third round of sales is scheduled for September.) The coming weeks will show whether other developers at JLT with off-plan inventory will revise their prices as a counter to Seven Tides. But there are signs elsewhere in the market that leading developers in Dubai are using their summer campaigns around the theme of prices. Damac is putting quite an aggressive one, offering villas in Dubailand from Dh2.67 million … and with no service charges for 10 years. Dubai Properties has its Villanova homes from Dh1.3 million. In the first six months, off-plan sales were dominated by just a handful of developers, whereas last year they only had to launch one offering a post-handover payment scheme for it to sell. As for Bin Sulayem and Se7en City, now that sales have settled into a rhythm, it will soon be time to get cracking on the construction. The coming days will see the final designs being completed and then the tender will be out. In three months, construction at the site should start and then it should be a flat 36 months to completion. Will there be multiple contractors involved? “It would be a big mistake to have different contractors,” the CEO said. “Despite the seven towers, it’s a single development. It would be a big mistake to have different contractors, because there would be liability issues, finger-pointing, etc. All that would be avoided with just having a single Grade A contractor. Seven Tides built its credentials with a handful of beachside projects on the Palm — for its next project after Se7en City, it plans to get back to near the water again. There had been mentions about a potential project on The World. “We have delivered the Anantara and the Dukes on the Palm, and we will be busy with the Se7en City JLT project in the coming months,” said Abdullah Bin Sulayem, CEO. 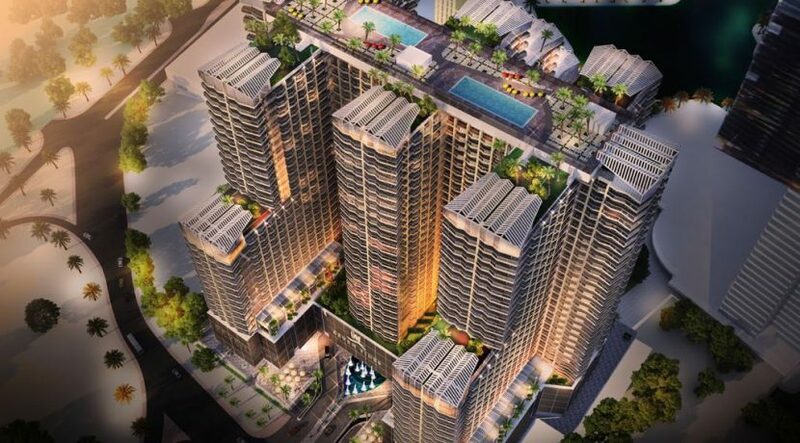 “There is also Seven Residences on the Palm, which is 30 per cent sold. And we will get back to the beach for our next venture, for which we already have the land. Details will be announced after we start construction.